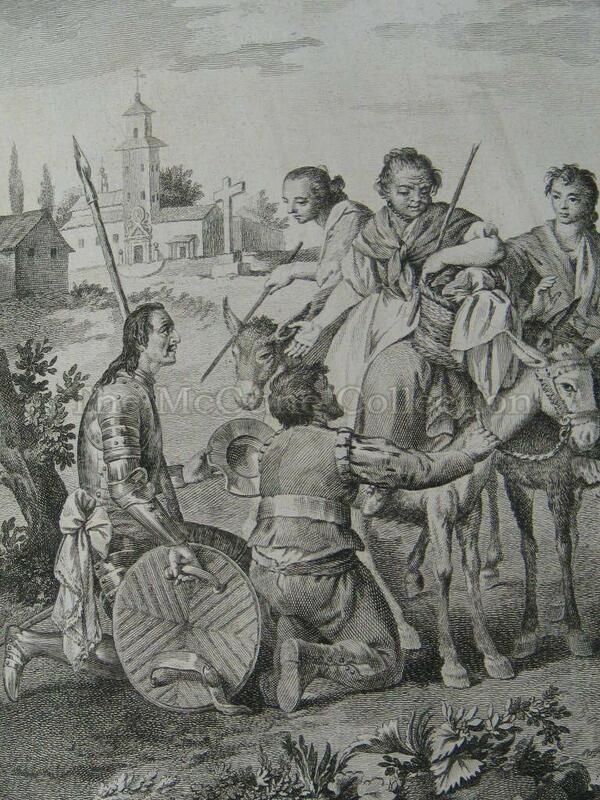 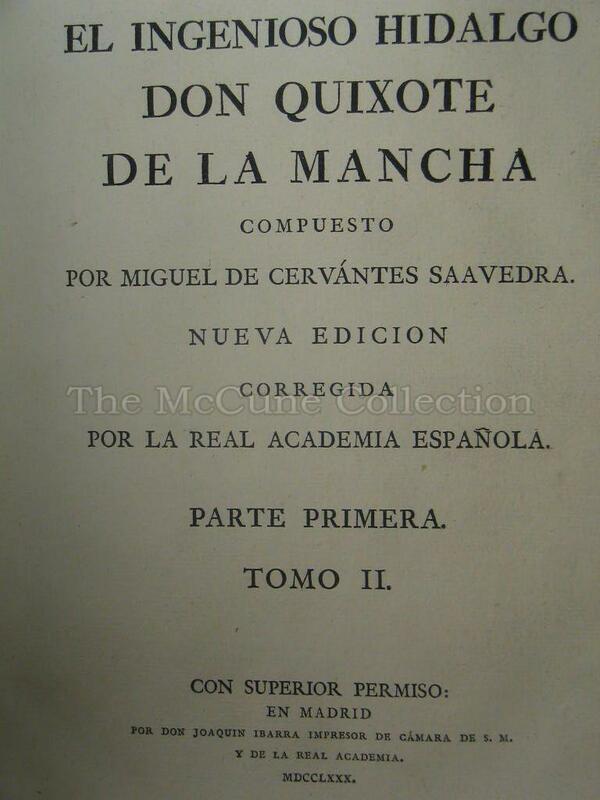 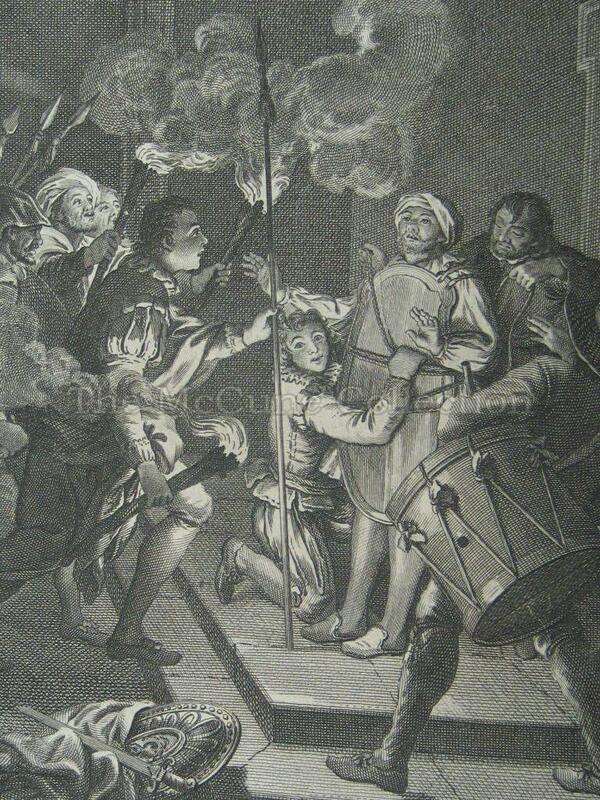 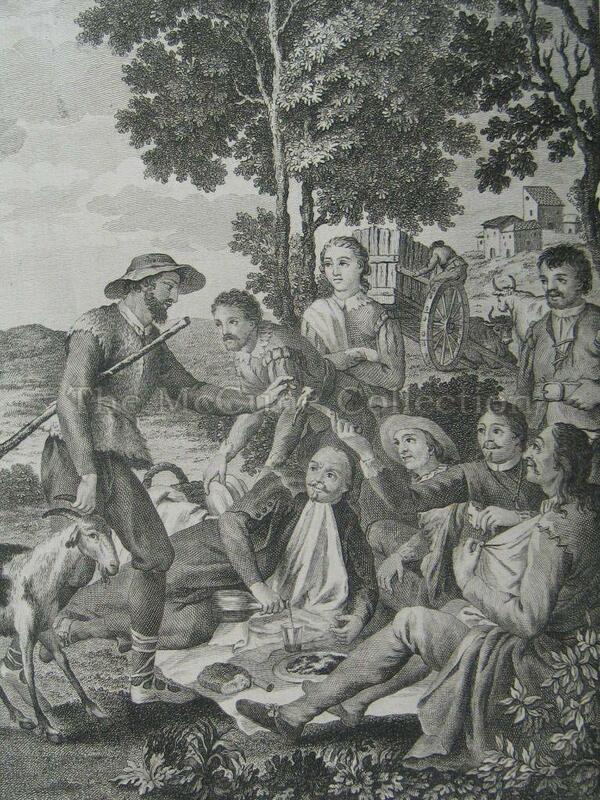 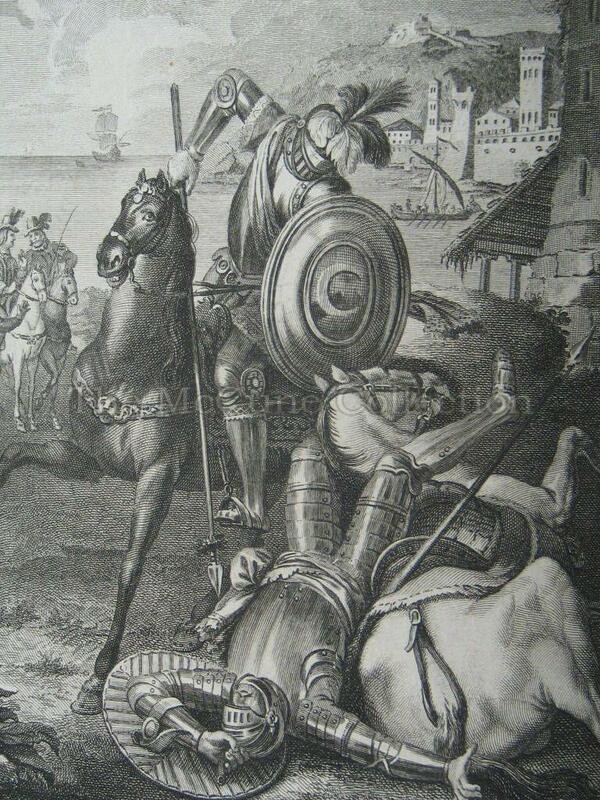 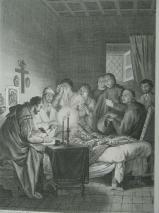 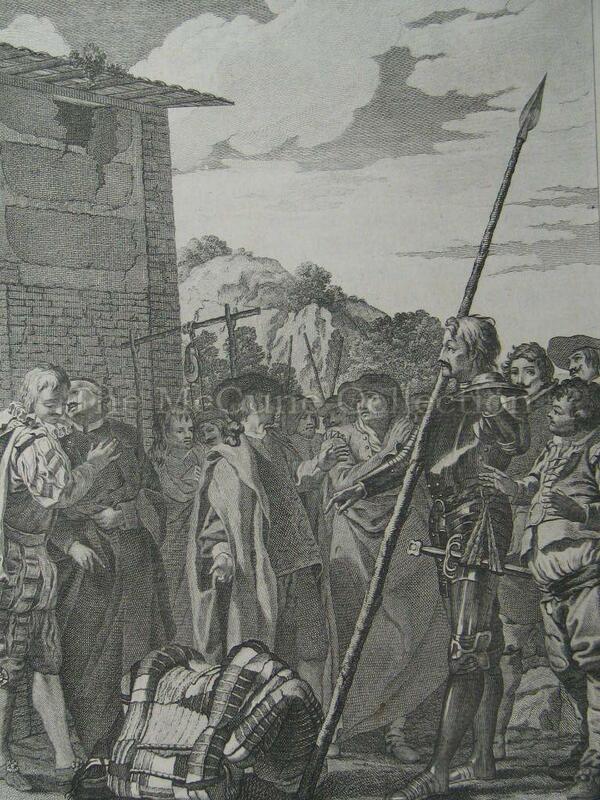 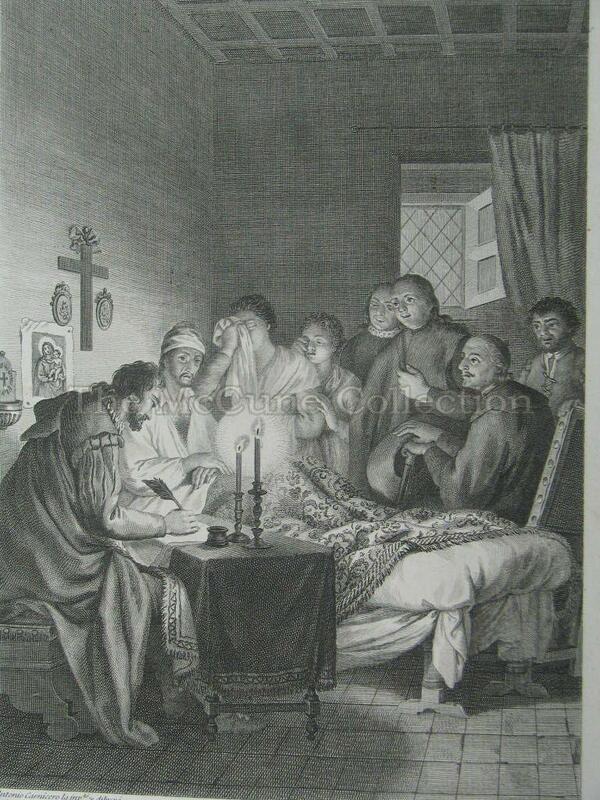 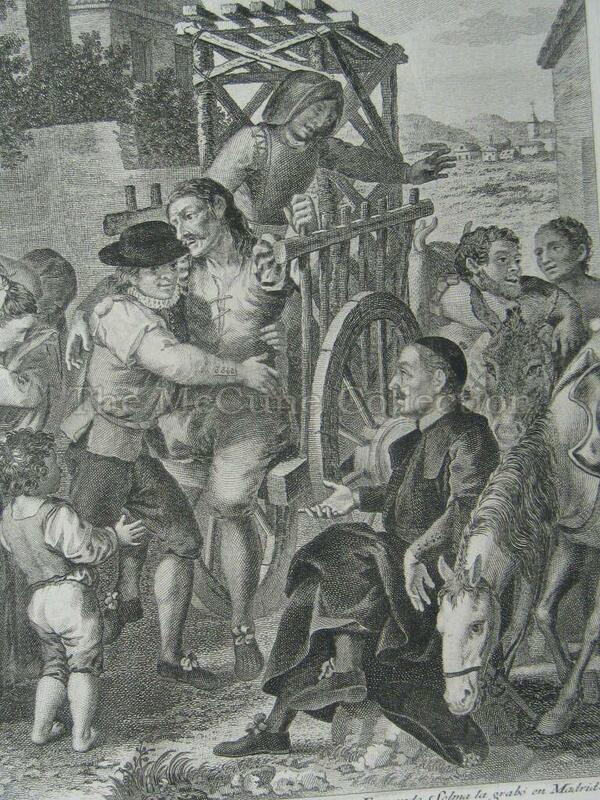 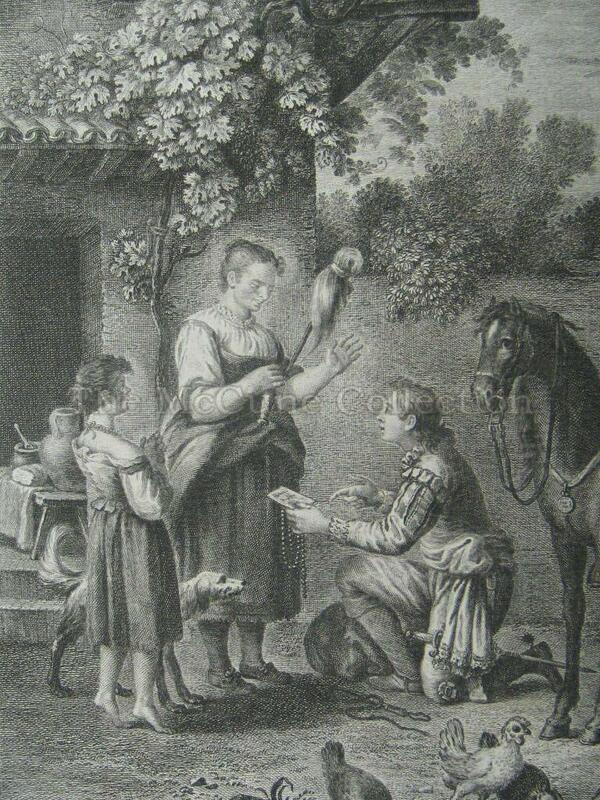 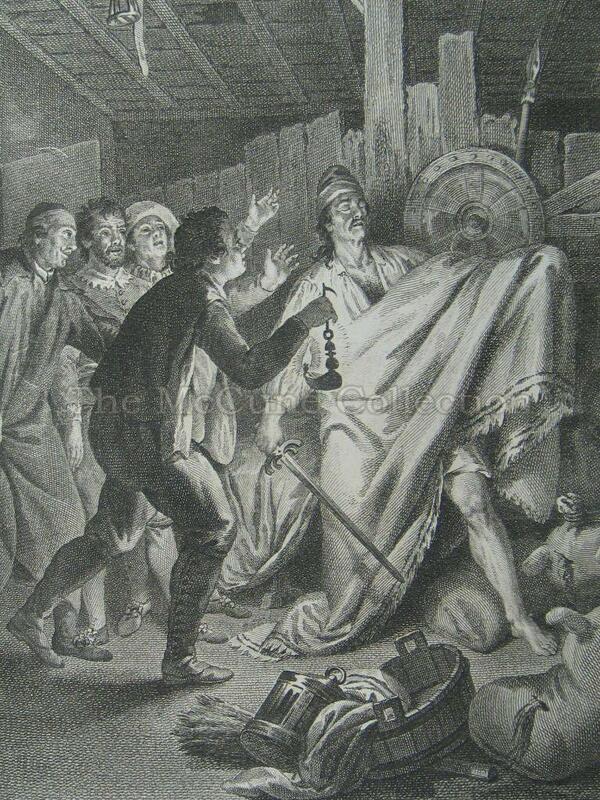 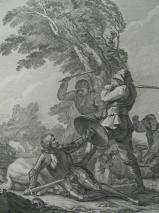 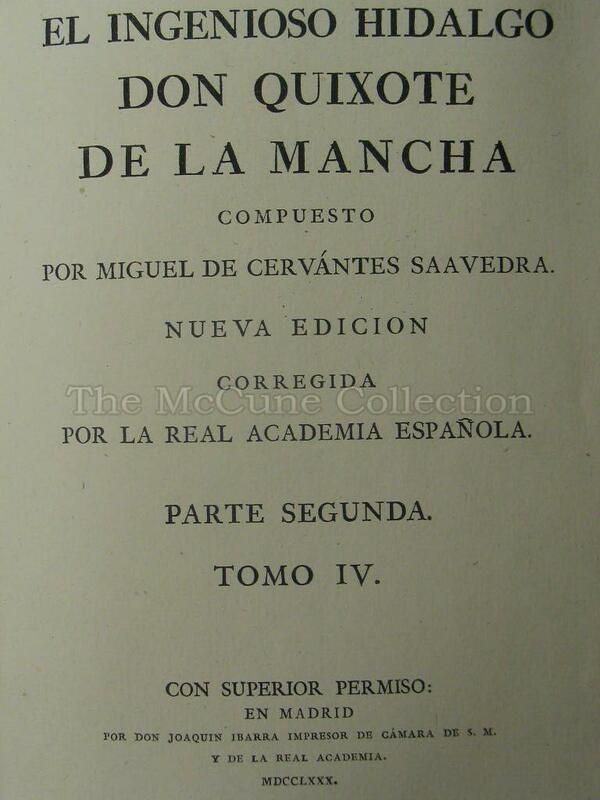 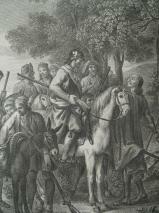 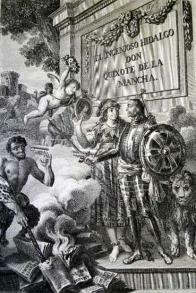 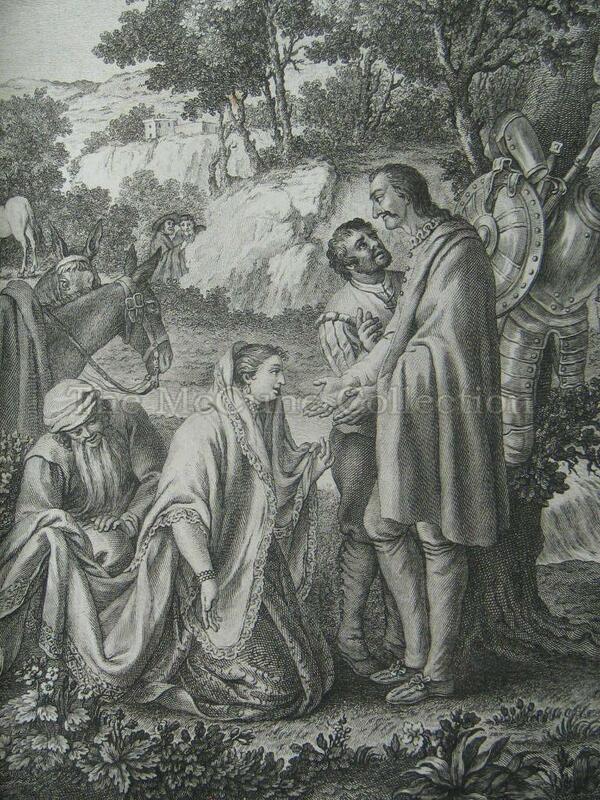 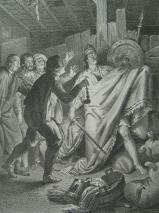 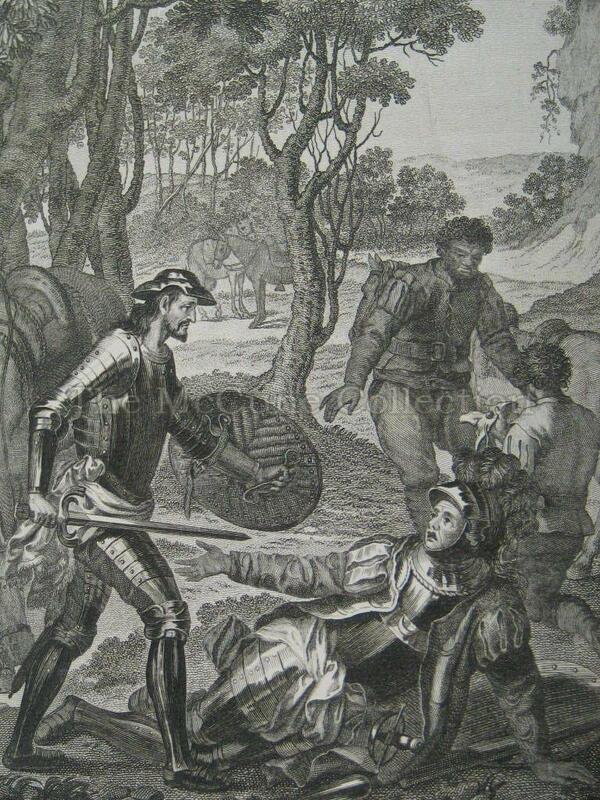 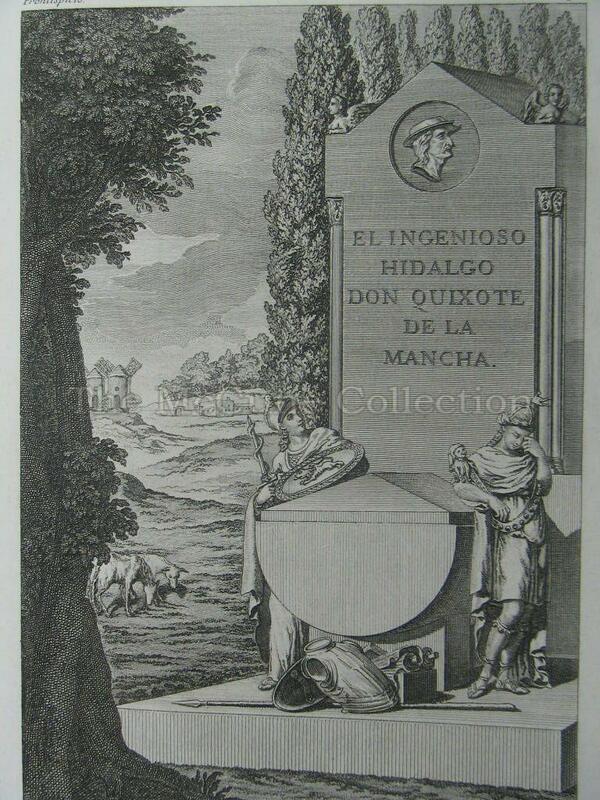 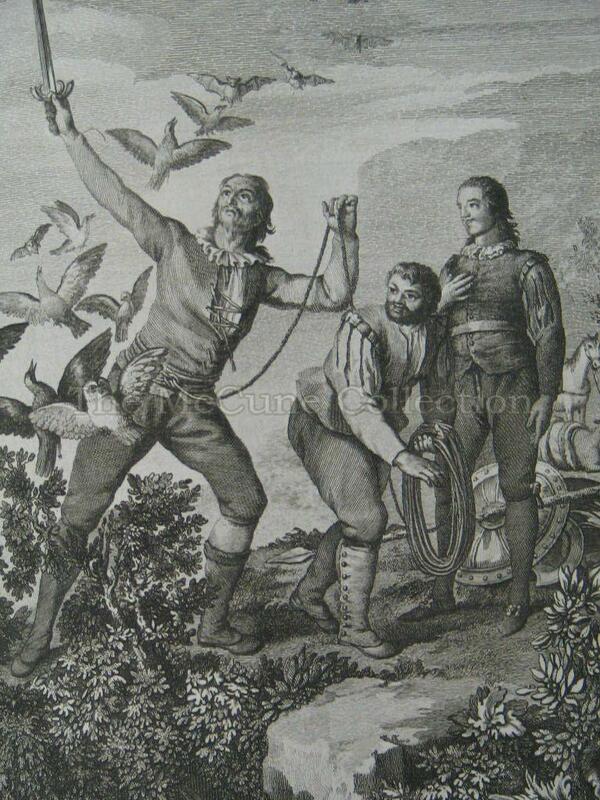 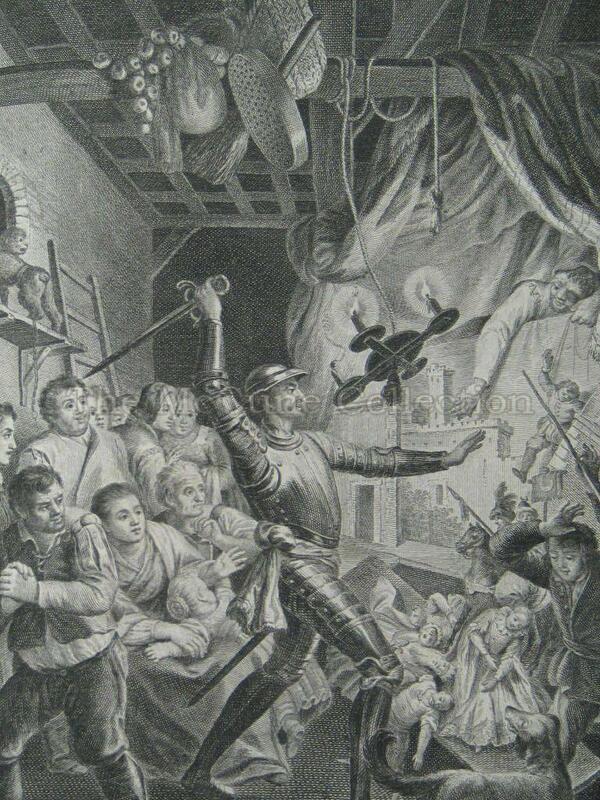 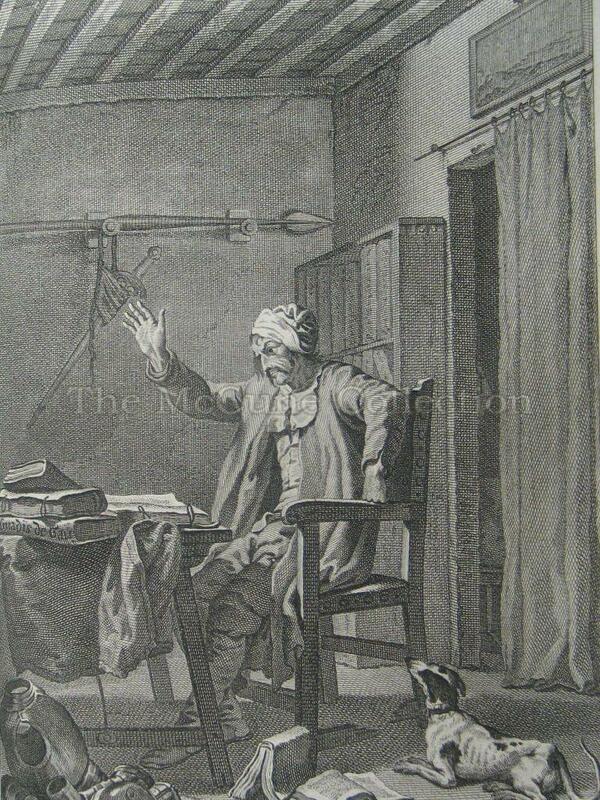 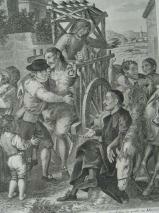 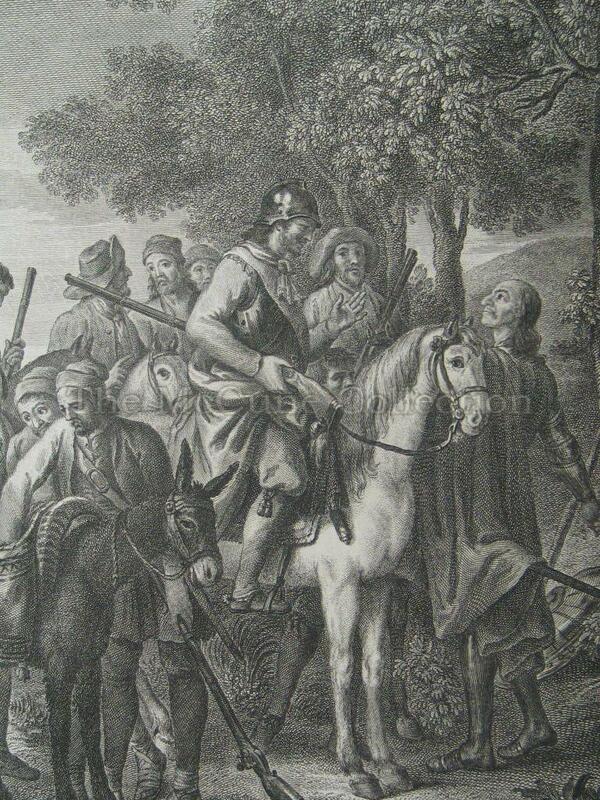 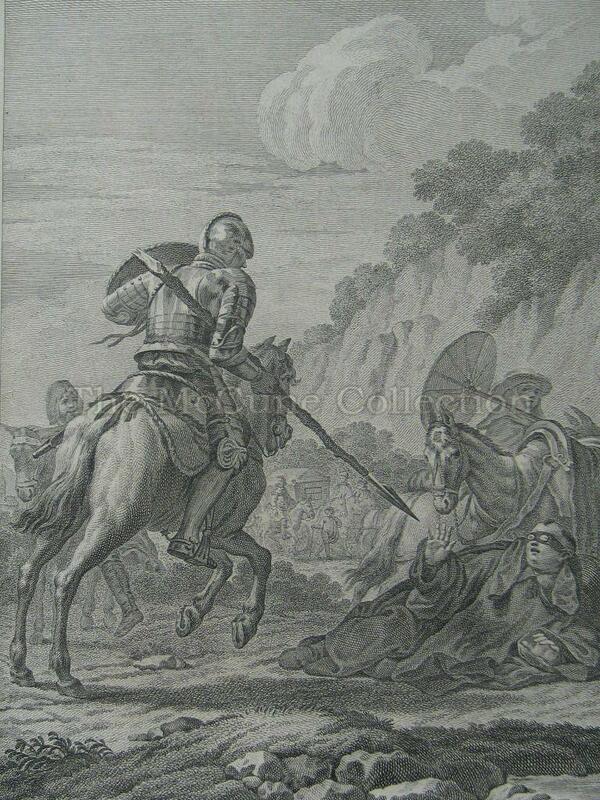 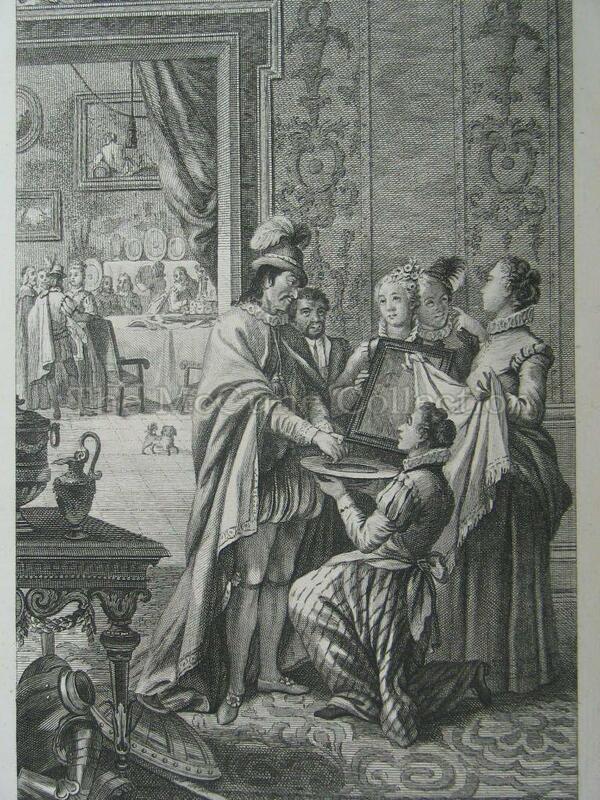 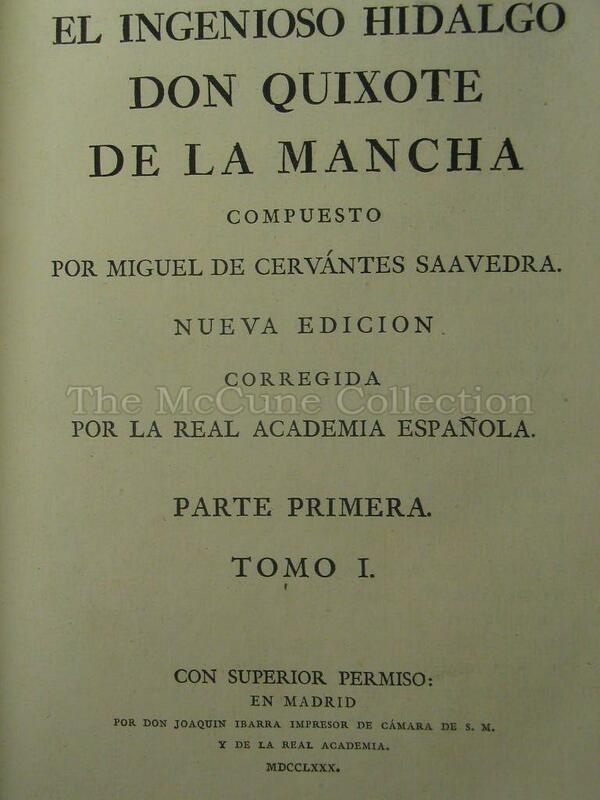 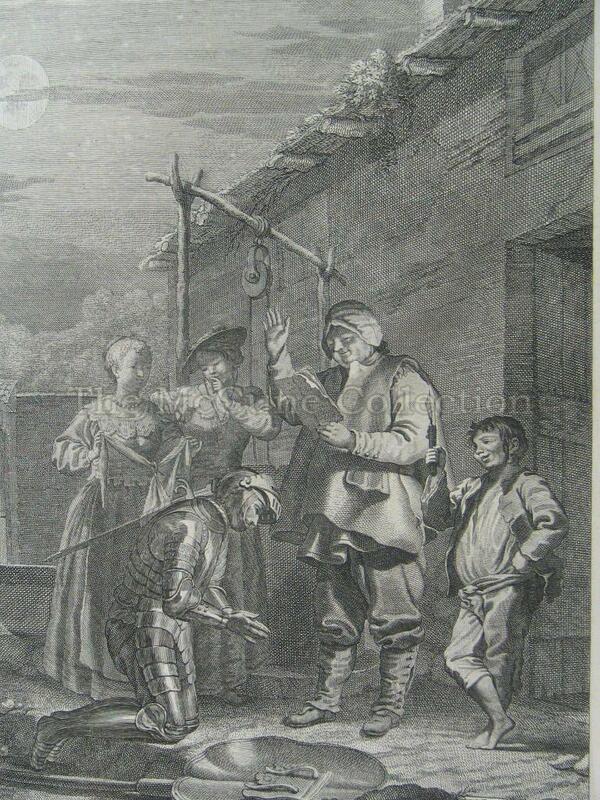 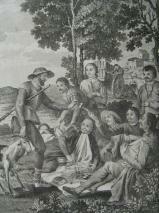 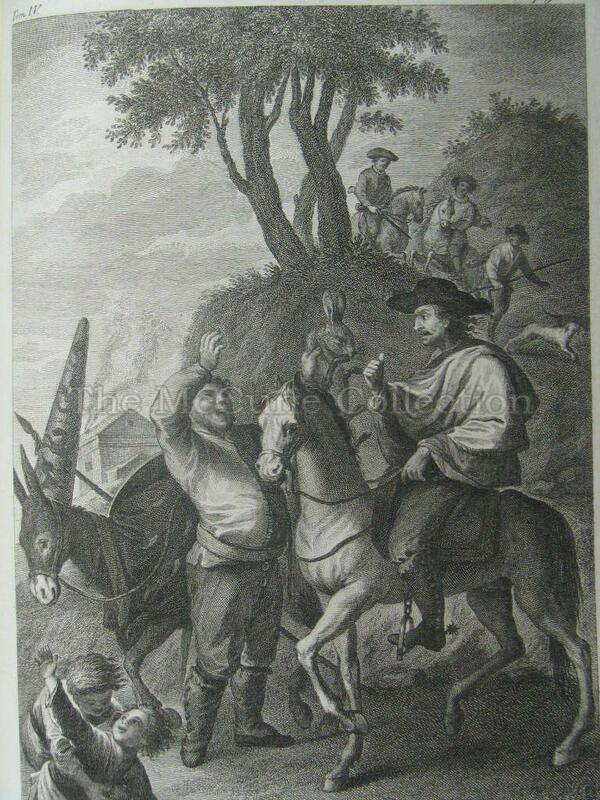 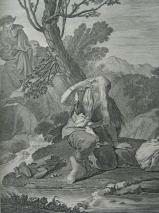 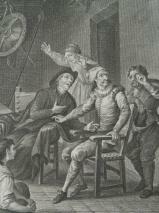 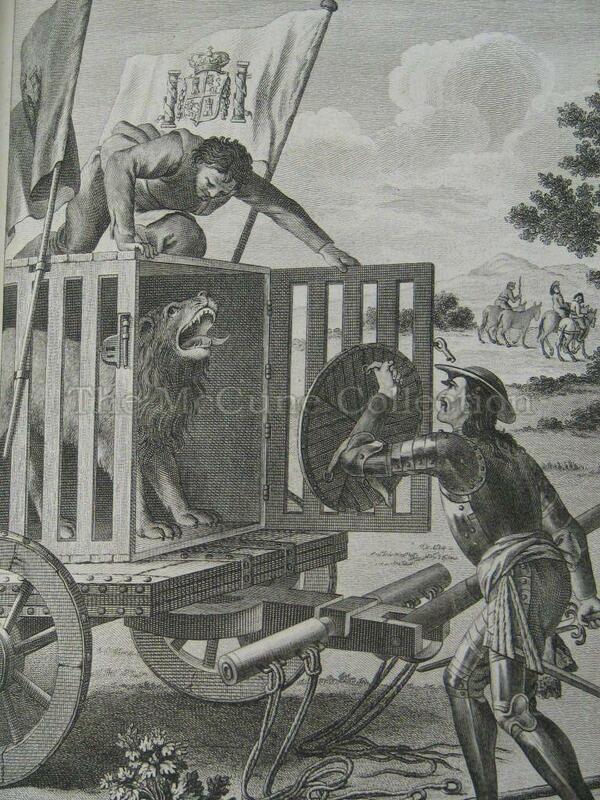 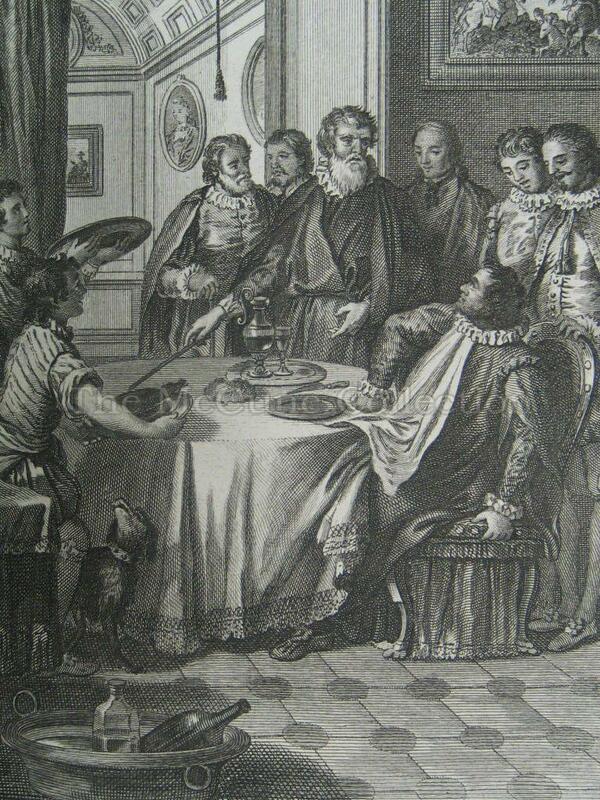 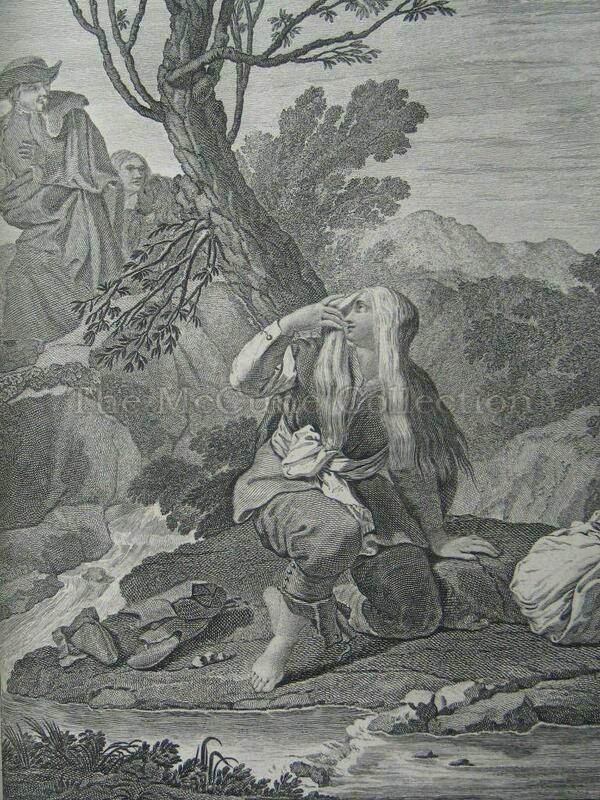 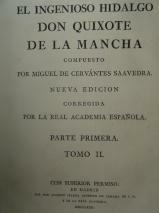 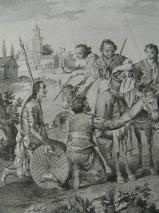 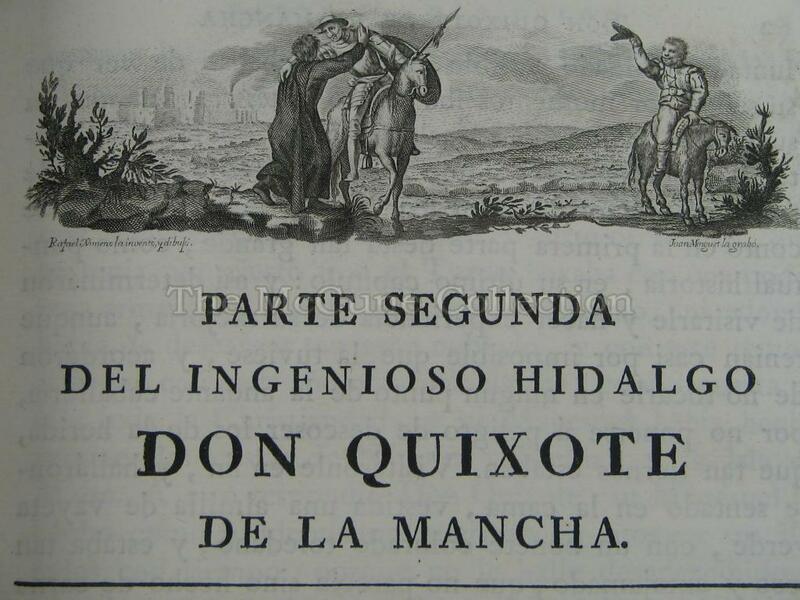 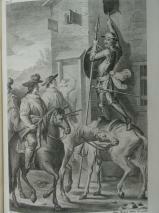 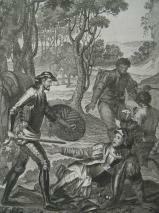 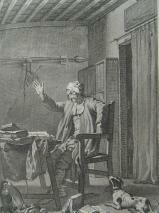 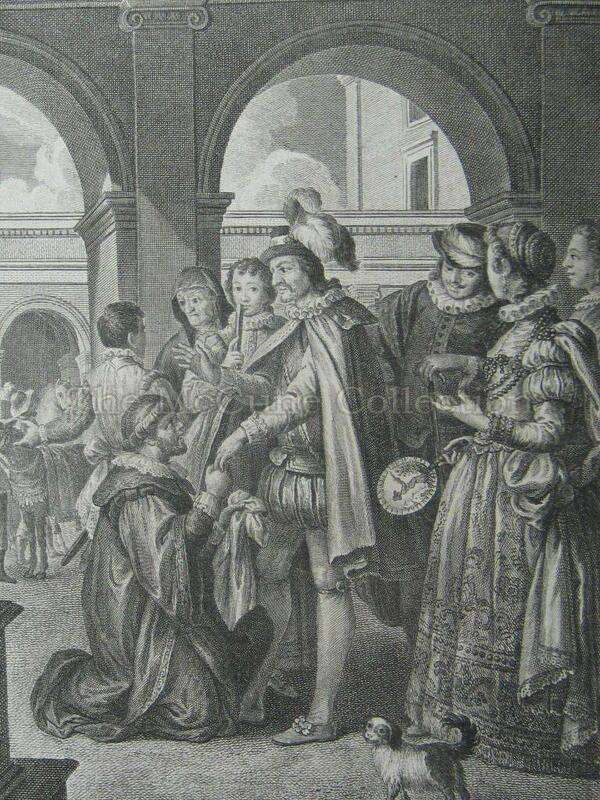 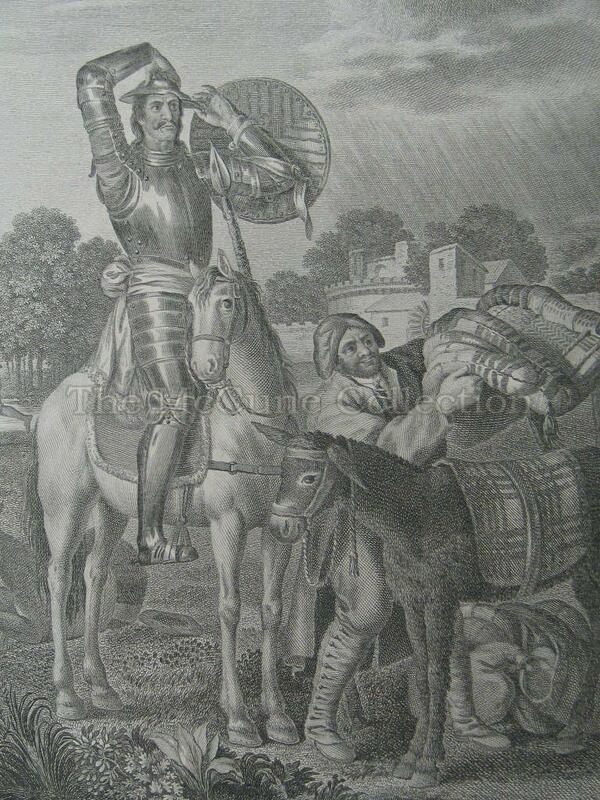 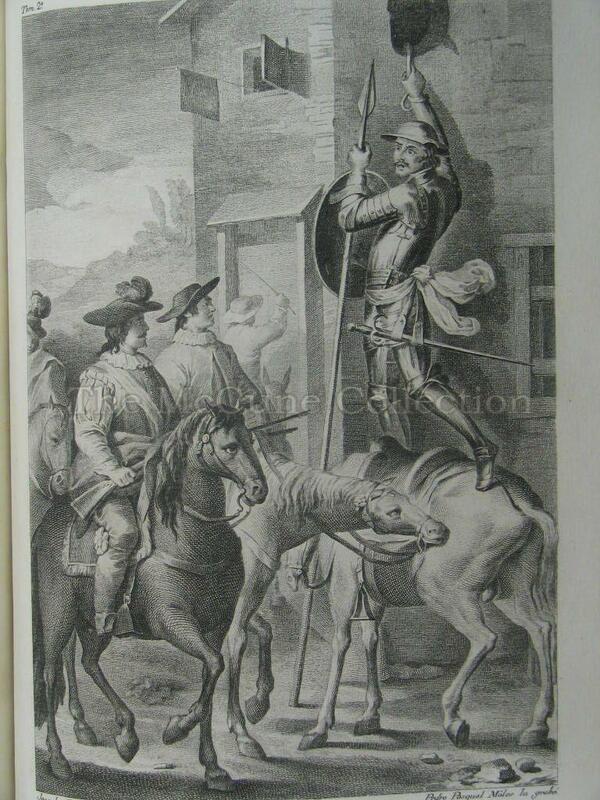 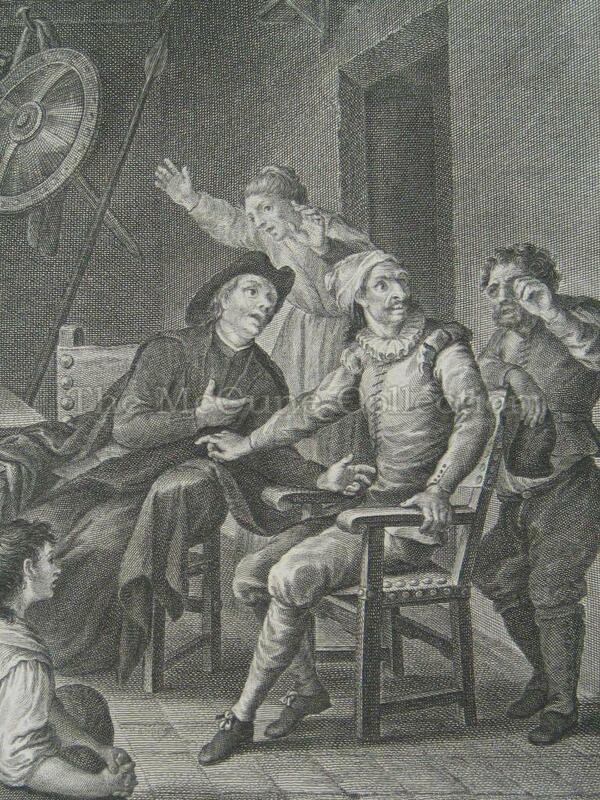 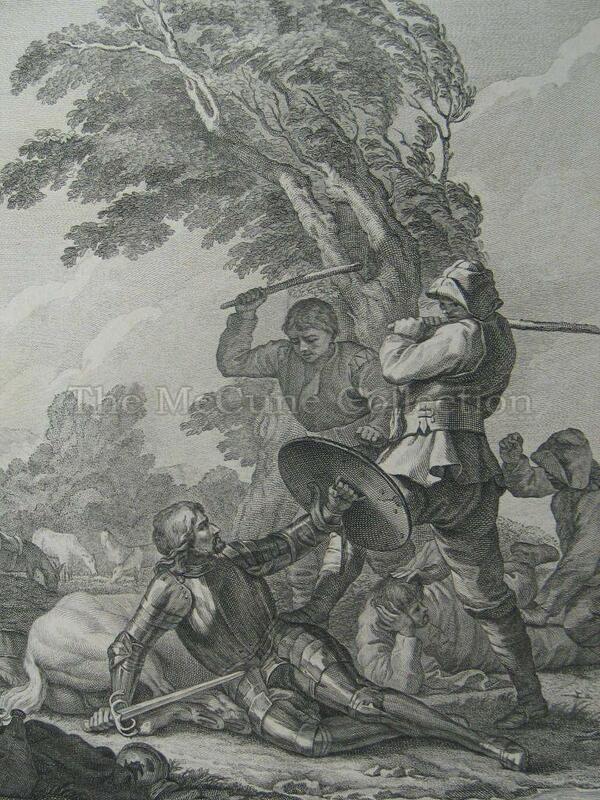 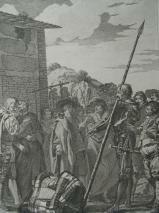 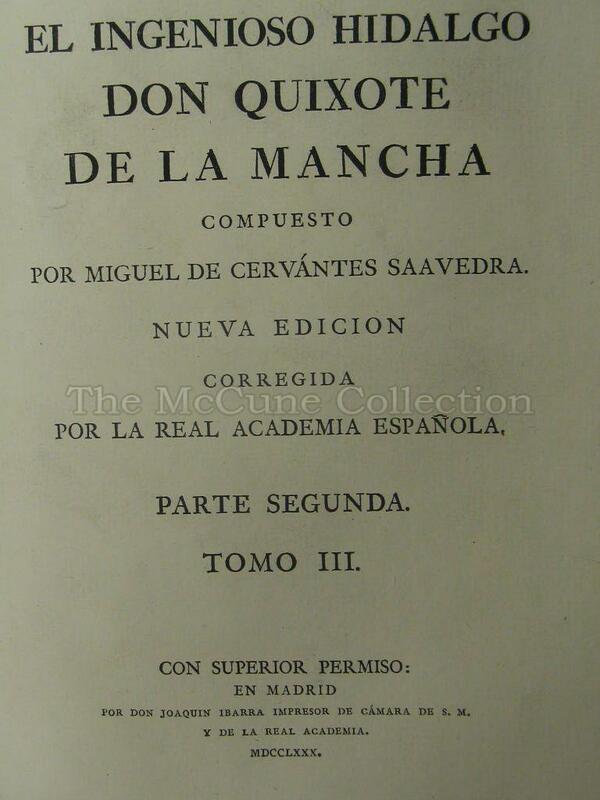 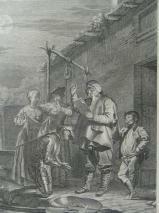 This tale of Don Quixote was published in 1780 by the Spanish Royal Academy in Madrid, Spain. 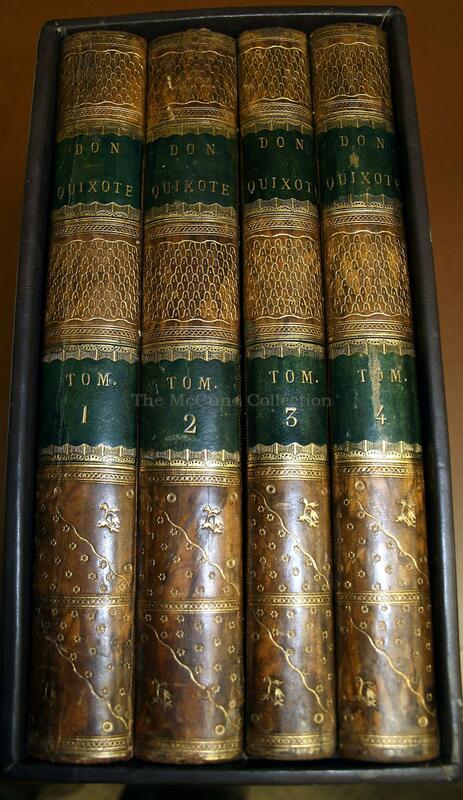 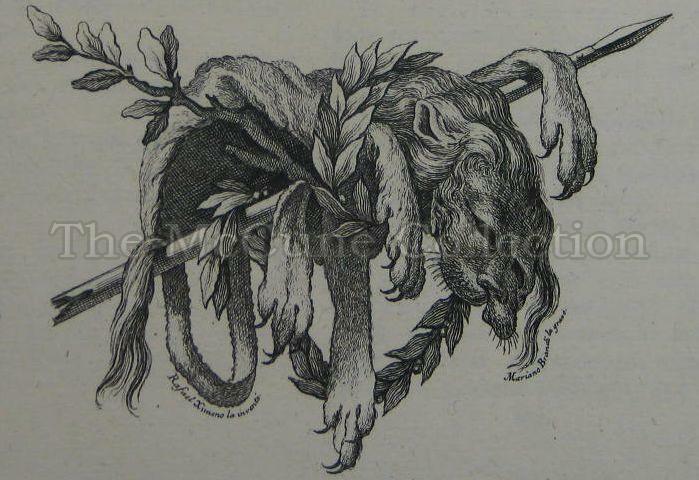 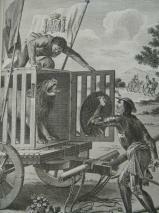 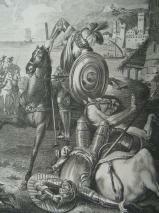 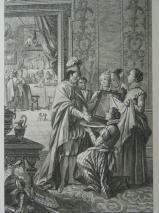 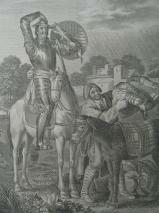 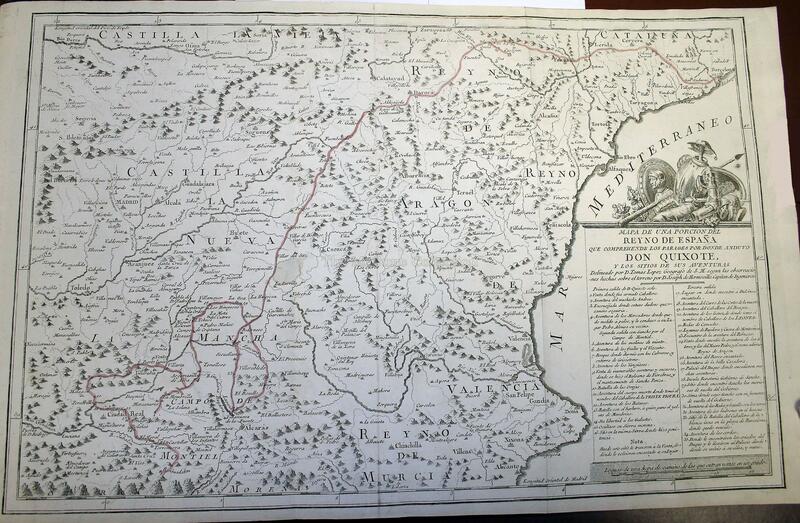 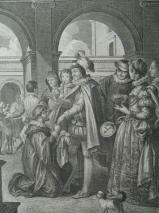 It consists of a four-volume edition containing a detailed map of Spain as well as over thirty engraved illustrations. 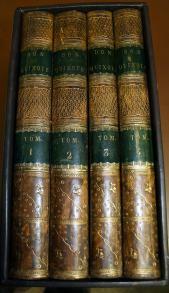 It is considered the most magnificent edition of the tale ever produced. 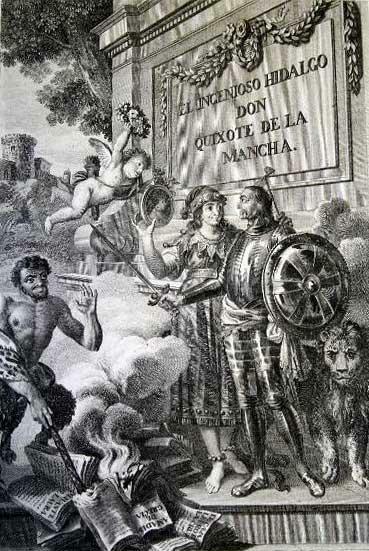 The map allows the reader to follow Don Quixote's itinerary throughout the story and the decorative engravings (one per chapter) helps illustrate the situations he faces. 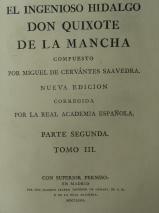 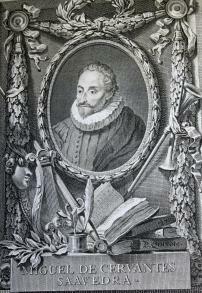 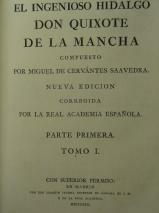 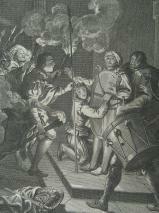 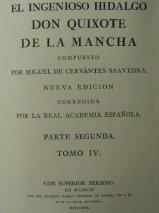 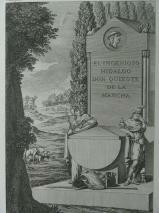 This publication contains a biography of Cervantes, an analysis of the tale, and an engraved portrait of Cervantes designed by Jose del Castillo. 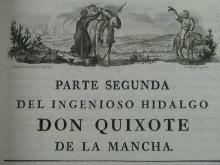 The edition was printed by Spain’s premier printer, Joaquin Ibarra, and no expense was spared to make it the best.